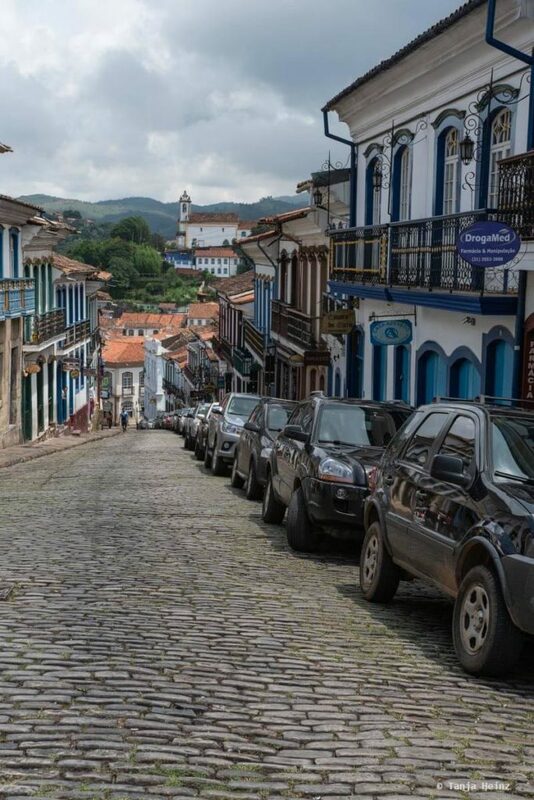 According to my guidebook Ouro Preto is one of the most beautiful colonial towns in the Brazilian state Minas Gerais. 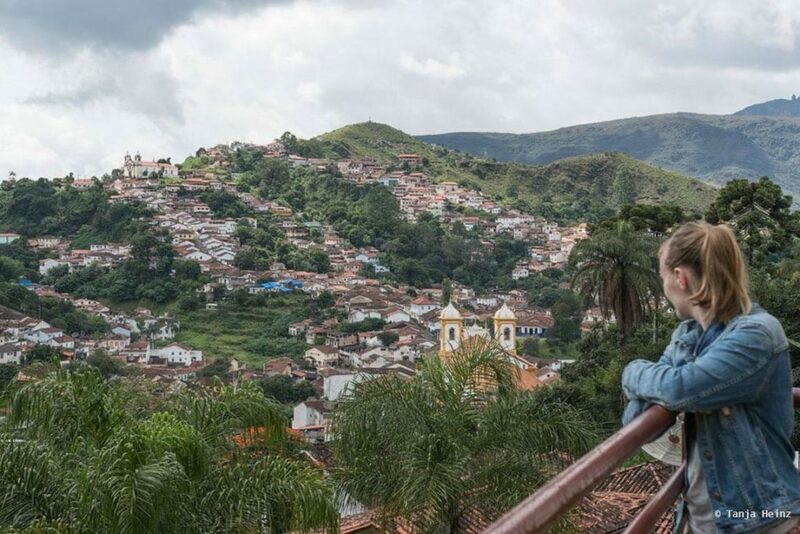 Because of this I’m not surprised that Ouro Preto is one of the most visited tourist destinations in Brazil. 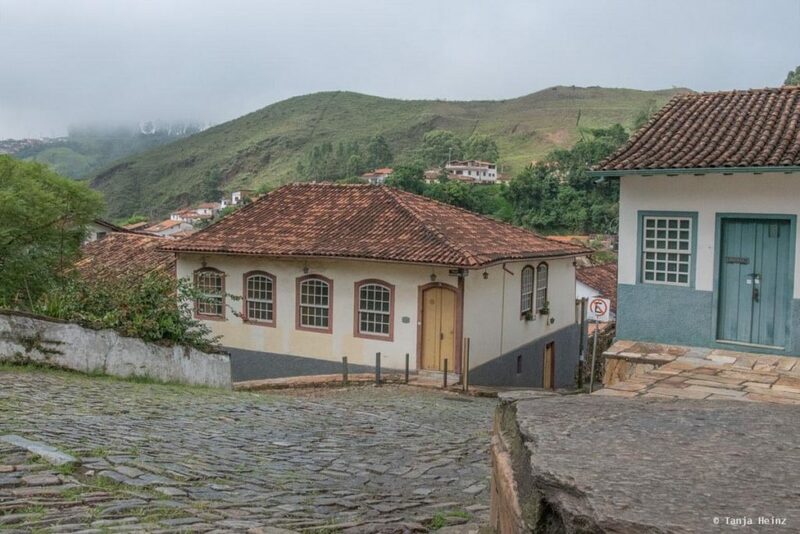 Ouro Preto is interesting not only because of its picturesque landscapes surrounding the small town, but also for its history. 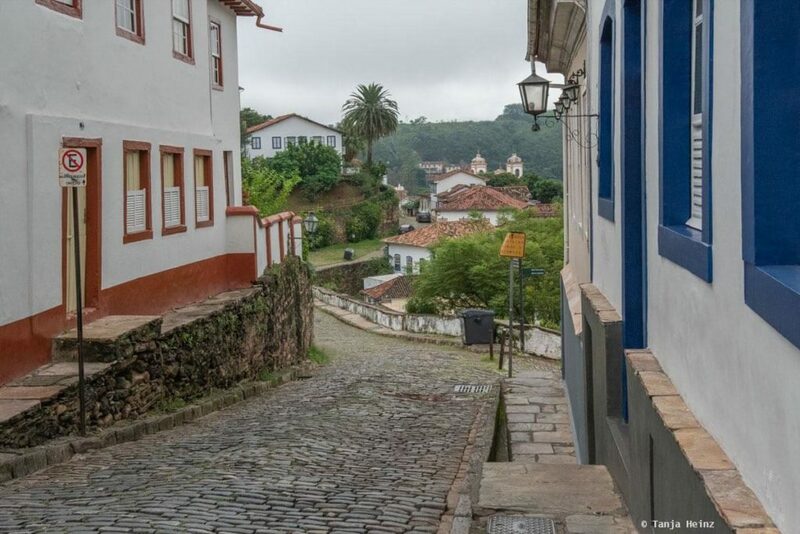 During my visit in Ouro Preto I especially noticed the winding and partly very steep cobbled streets. 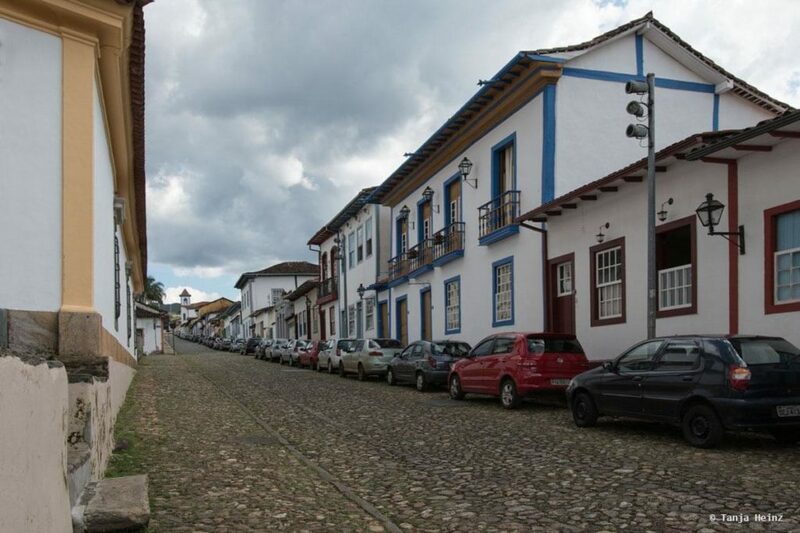 Ouro Preto is a relatively small town and the distances to get from one place to another one are generally short. 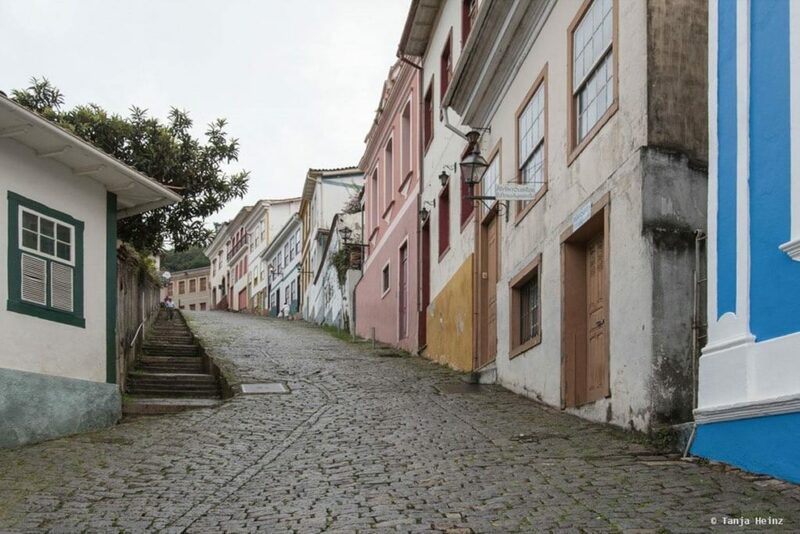 However, due to many steep streets a stroll through the town can be physically demanding for some people depending on one’s physical fitness. Ricardo and I had sore muscles after our first day in Ouro Preto. 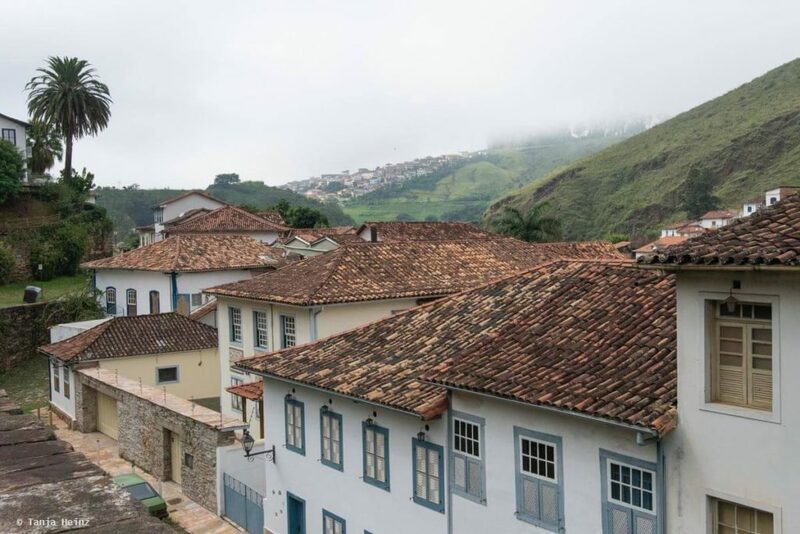 Nevertheless, despite the steep cobbled streets, Ouro Preto is just a very impressive town and I understand quite well why Ouro Preto belongs to one of the most beautiful colonial towns in Minas Gerais. 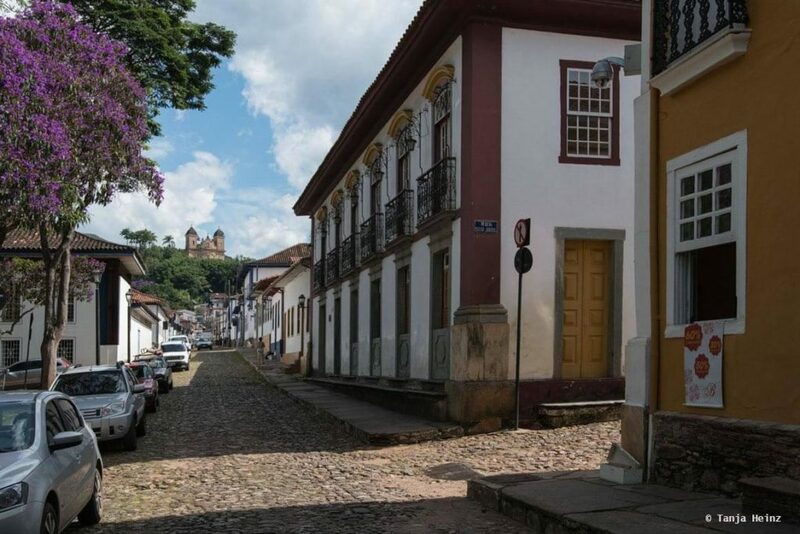 Ouro Preto was not only the starting point for a several week lasting journey through the South of Brazil it was also the beginning of my small “citizen science project” about all my animal observations on my journey. 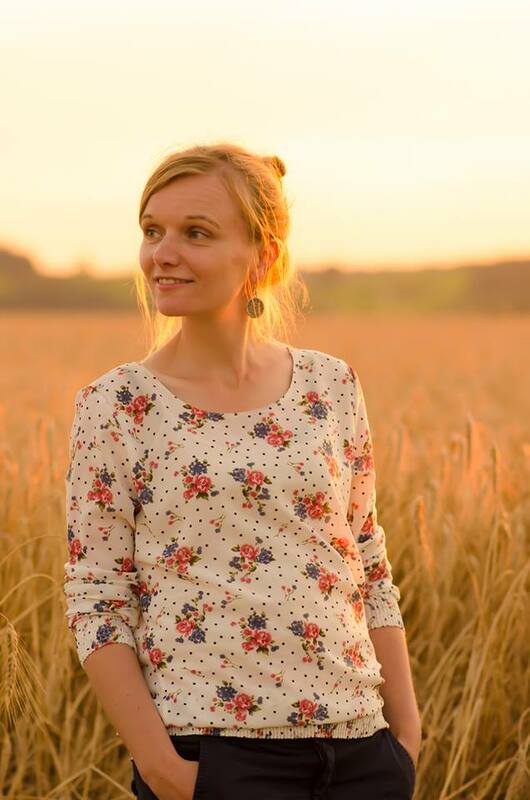 I tried to identify all animal observation by sharing photographs and information about animal observations to citizen science communities like iNaturalist and iSpot. On these platforms you can meet experts from different fields of expertise. Some people are experts on birds while others know much about beetles or butterflies. Another great platform is WikiAves. This online community helped me a lot with my bird identifications. Before I tell you more about my animal observations, I give a small overview. 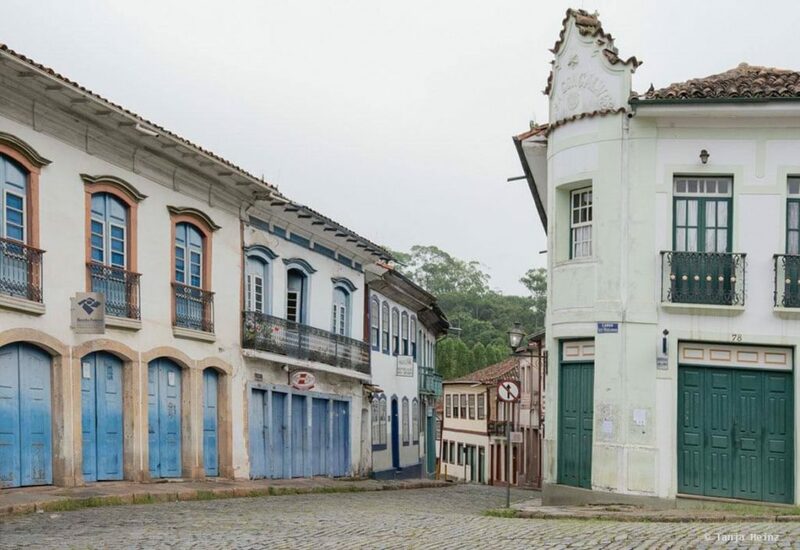 Where is Ouro Preto actually? 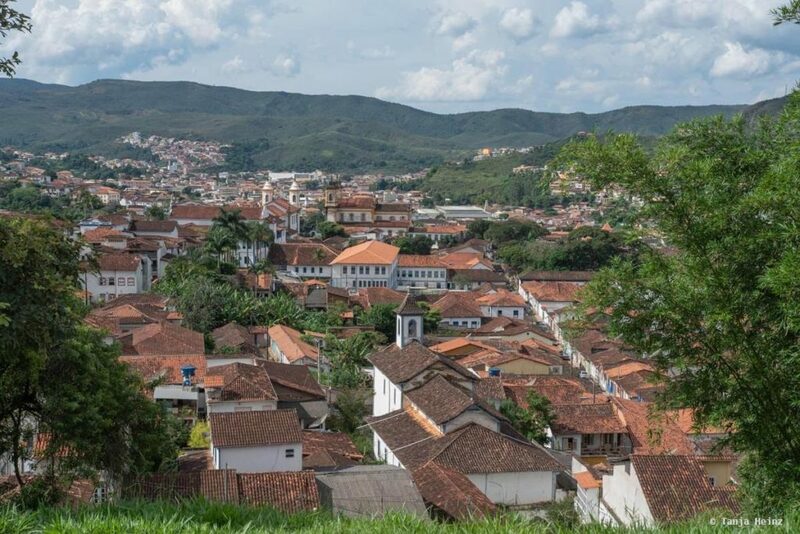 Ouro Preto is located in the state Minas Gerais. In the South of Minas Gerais is the border to Rio de Janeiro. 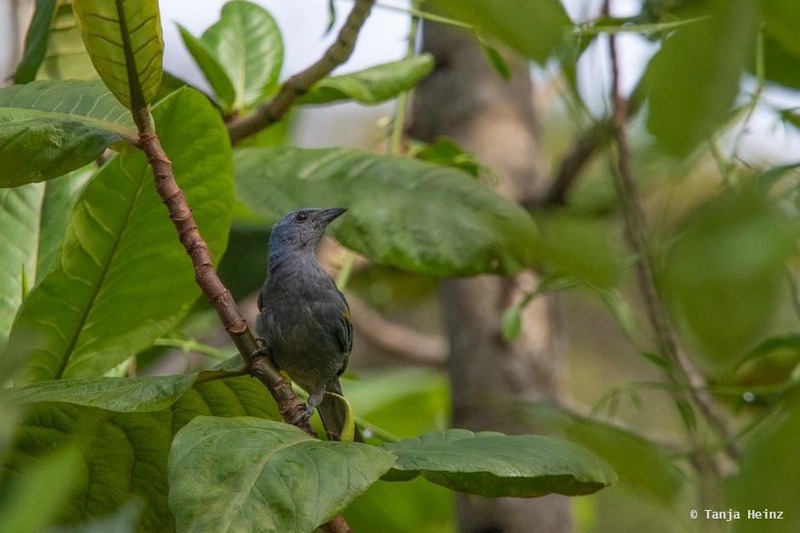 Minas Gerais is very interesting for nature lovers and animal observers as about half of the state is covered by the Atlantic Forest (in Portuguese Mata Atlântica). The Atlantic Forest is one of the most diverse forest on earth and extends over several states (among them are Rio de Janeiro, São Paulo oder Paraná) in the east of Brazil. 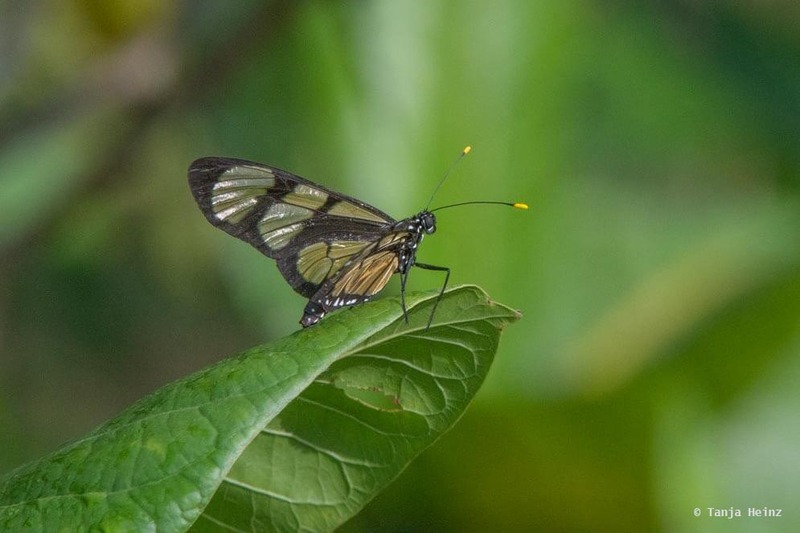 They say that the Atlantic Forest is even more biodiverse than the Amazon. Minas Gerais played a crucial role in the history of Brazil. At the end of the 16th century many Brazilians and Portugueses migrated to Minas Gerais when large gold deposits were found. Especially Portugal benefited from the gold rush as Portugueses shipped most gold to their native country. 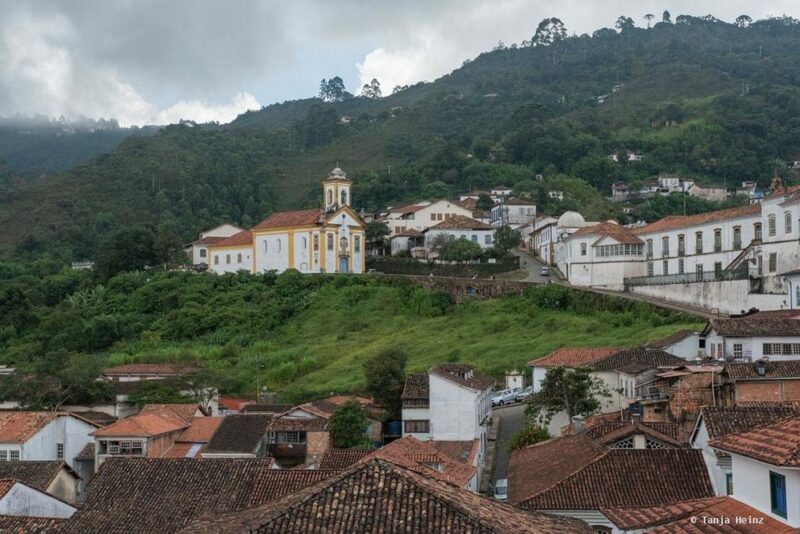 Due to the gold rush in Minas Gerais towns like Ouro Preto became part of one of the darkest chapters in world history – the Transatlantic Slave Trade. Out of more than three million enslaved people from Africa that were forced to Brazil many of them had to work in gold mines in Minas Gerais. Minas Gerais is the second populous state in Brazil after São Paulo. 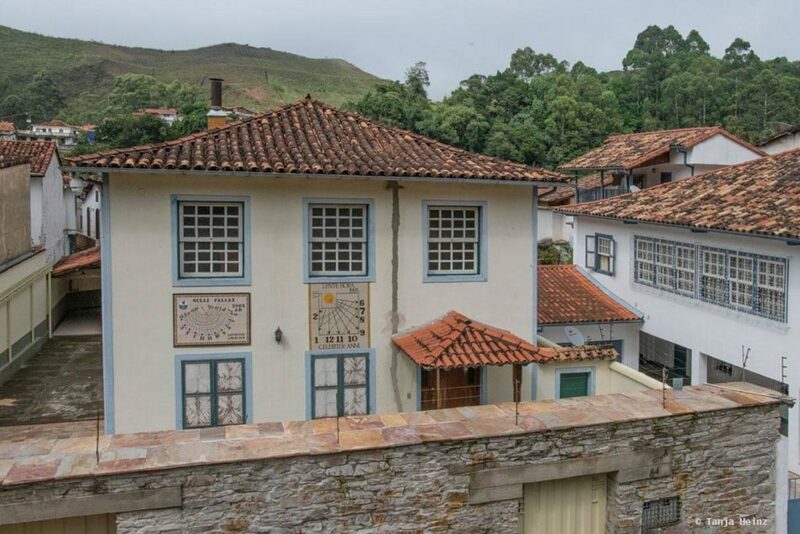 During the gold rush era Ouro Preto was the center of political and economic life. Today it is Belo Horizonte. On our bus ride from Rio de Janeiro to Ouro Preto I was especially impressed by the rolling landscapes. The luscious green of the hills and the red soil alternated. Gentle hills were covered with many coffee plantations. I imagined the colourful and rural Brazil exactly like this. Minas Gerais provides many beautiful landscape scenes. Apropos coffee plantations. It is not surprising encountering many coffee plantations in Minas Gerais. The triangle Belo Horizonte in Minas Gerais, Rio de Janeiro and São Paulo is also known as the Ciclo do Café. Brazil is one of the largest coffee producers in the world. Most coffee in Brazil is produced in this region. 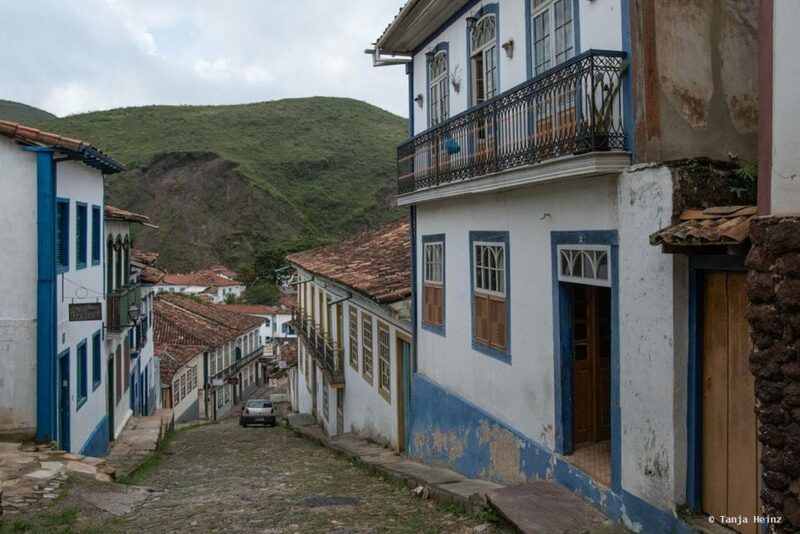 With only about 70.000 inhabitants Ouro Preto is a rather small town in Brazil. 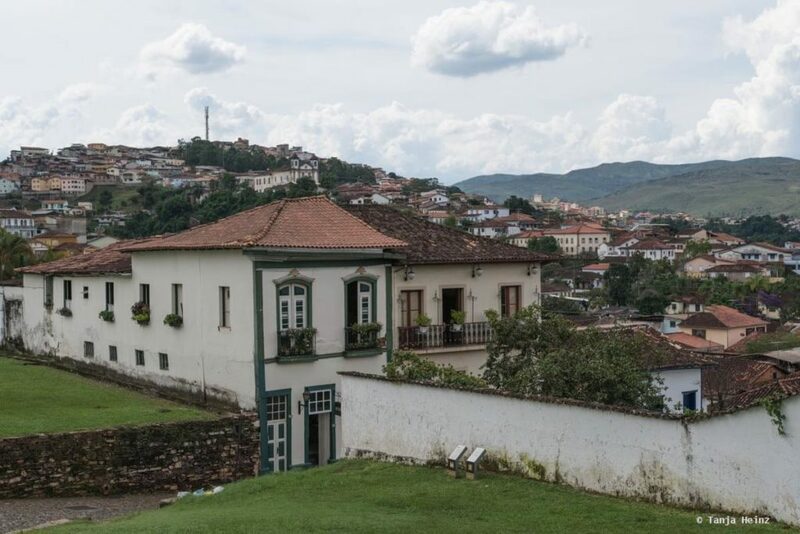 The name Ouro Preto means “black gold” because iron oxide coloured the gold slightly black. 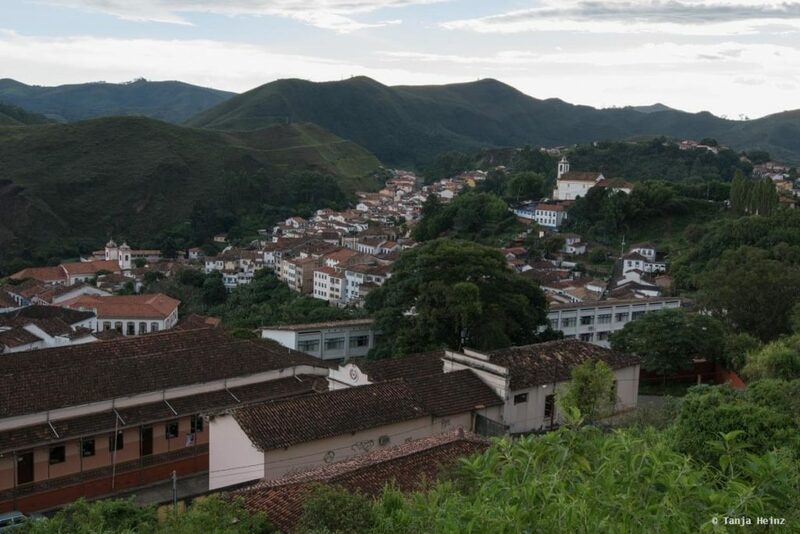 During the gold rush Ouro Preto was the capital of Minas Gerais. 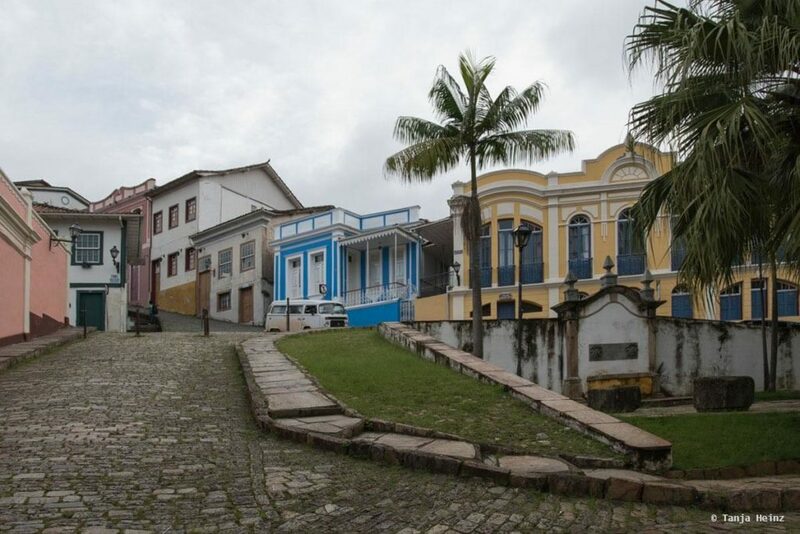 However, at the end of the 19th century the capital of Minas Gerais was transferred to Belo Horizonte. 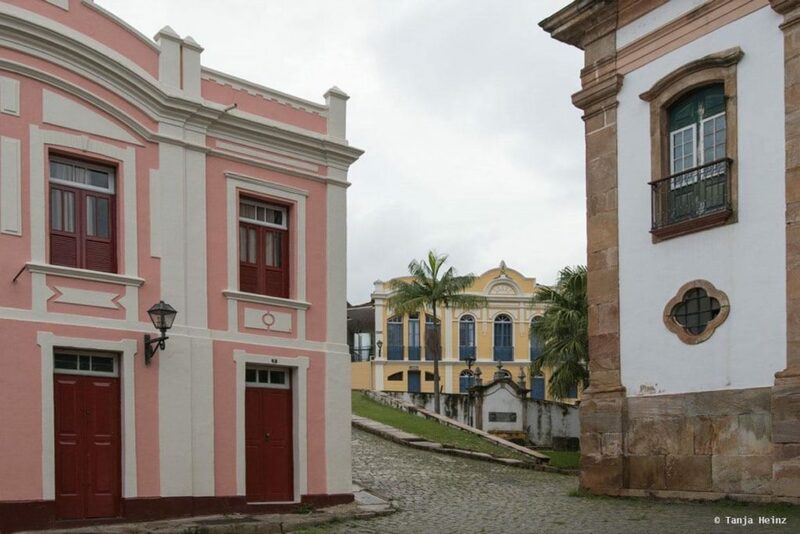 Today Ouro Preto is interesting especially for architecture and art lovers. The gold rush attracted many baroque artists who transformed the town into an architectural wonder. 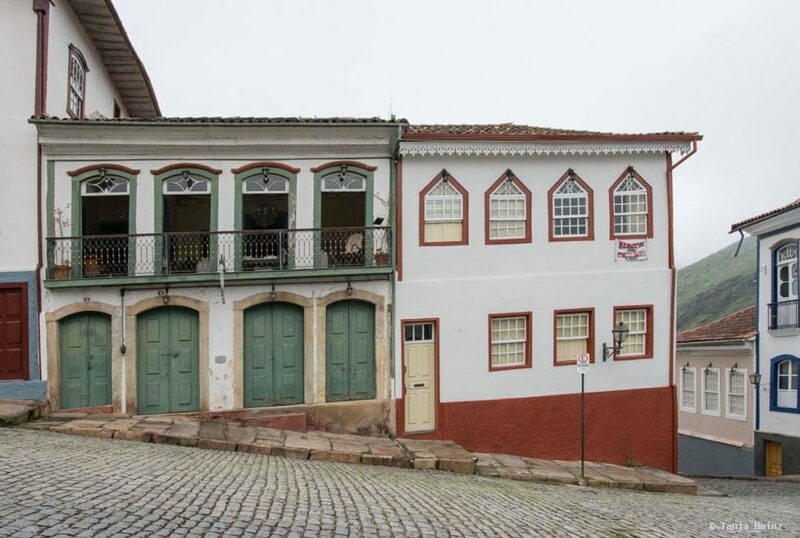 Thus, it is not surprising that Ouro Preto is an UNESCO World Heritage Site since 1980. 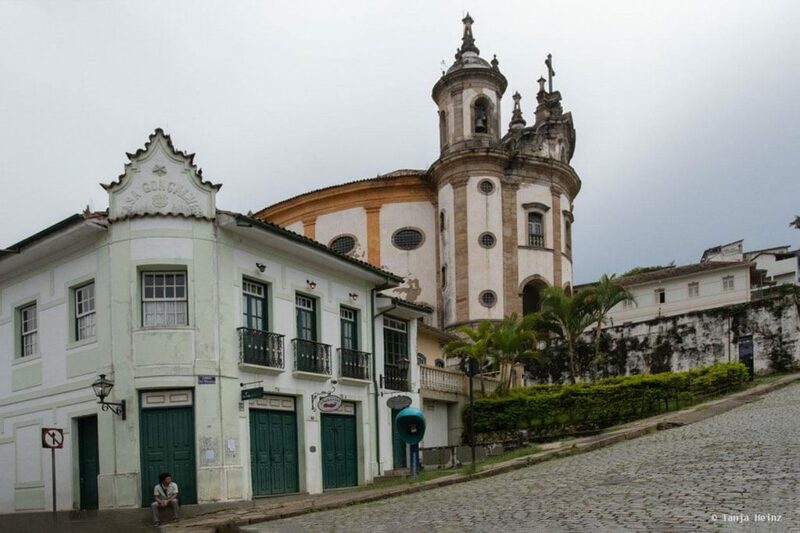 The central place in Ouro Preto is the Praça Tiradentes where numerous museums and churches are located. Apropos churches. 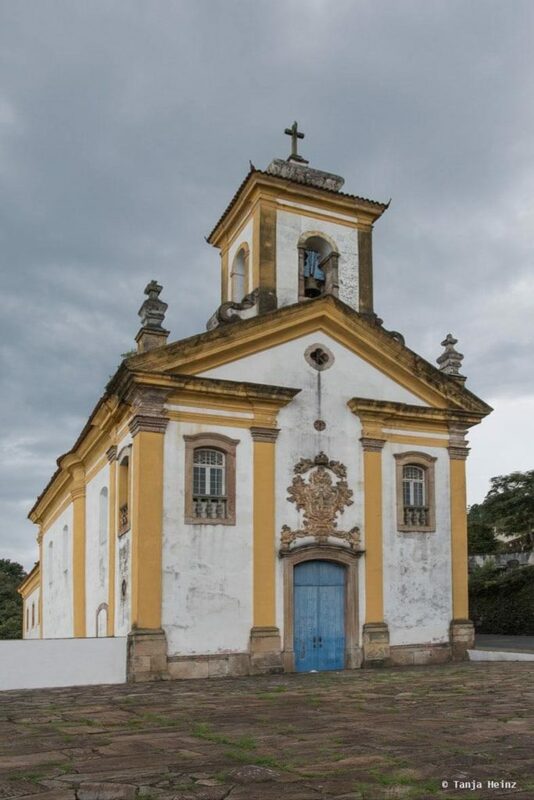 There are many churches in Ouro Preto. Therefore, it is not surprising that the “Semana Santa” (Passion Week) is one of the most important festivities in the town. As I mentioned above I tried to record every animal observation on my journey. As Brazil is one of the most biodiverse countries on earth, I decided to focus mainly on birds and mammals. Sometimes I gathered photographs as well from insects like butterflies or amphibians and reptiles, but also plants. Apropos plants. Brazil is just amazing with respect to flora. I was just so overwhelmed from Brazil’s diversity and I wished that I would have remembered more knowledge about plants in the botanical classes during my biology studies. I wished to know more about all those plants I saw in Brazil. If there is a word how I felt when I encountered this biodiversity it is humility. So with this in my mind I set out for exploring the fauna. 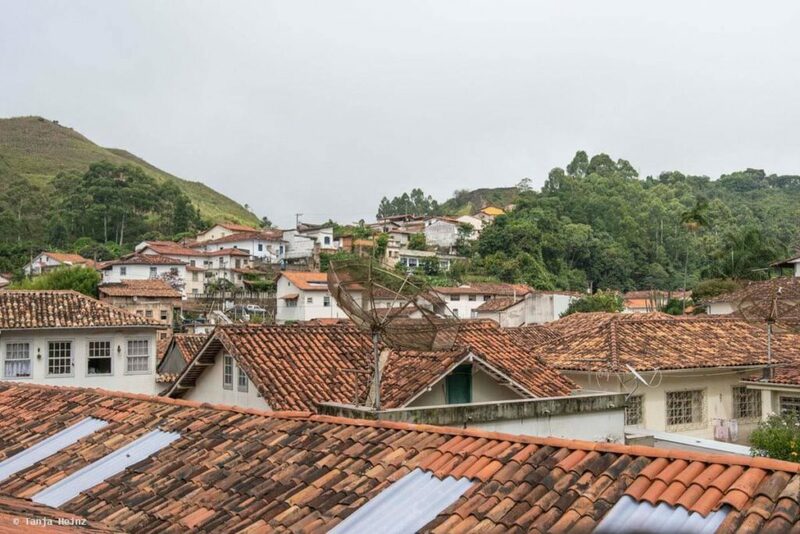 That means, in Ouro Preto it was mostly the bird life. One of the first birds I saw in Ouro Preto were parrots. 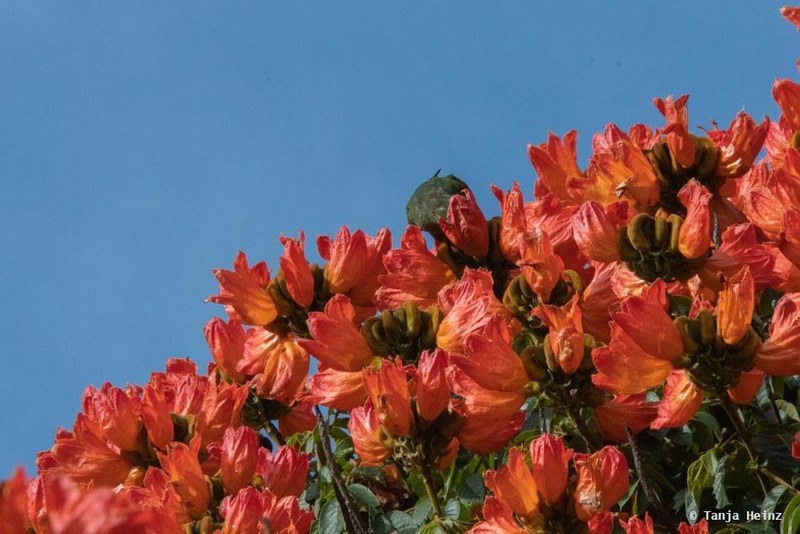 Early in the morning we spotted this parrot in the top of a flowering tree. 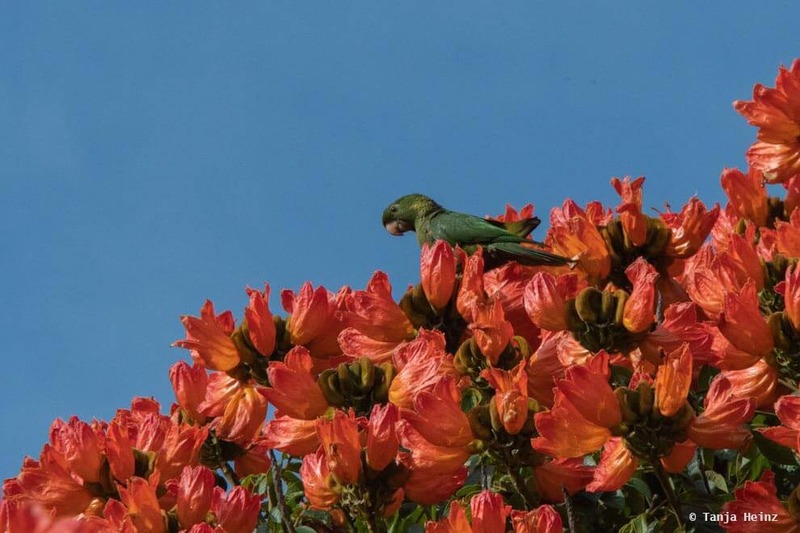 To be more precisely, this was a White-eyed conure (Psittacara leucophthalmus) and it was searching for food in the red flowers. We observed this parrot for some time how it hid its head in the flowers again and again. However, this parrot was not alone. We observed the white-eyed conure for some time, but when its group started to make noise, it flew away together with its group. On this morning we also met a Themisto Amberwing (Methona themisto). I was especially happy when we saw some hummingbirds. 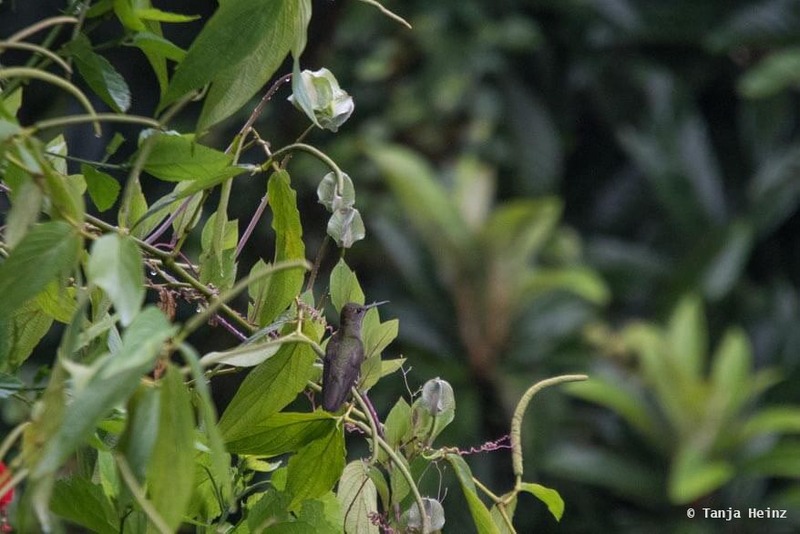 Before Brazil I did not know that there are more than 300 hummingbird species worldwide! However, hummingbirds cannot be found in every part of the world. 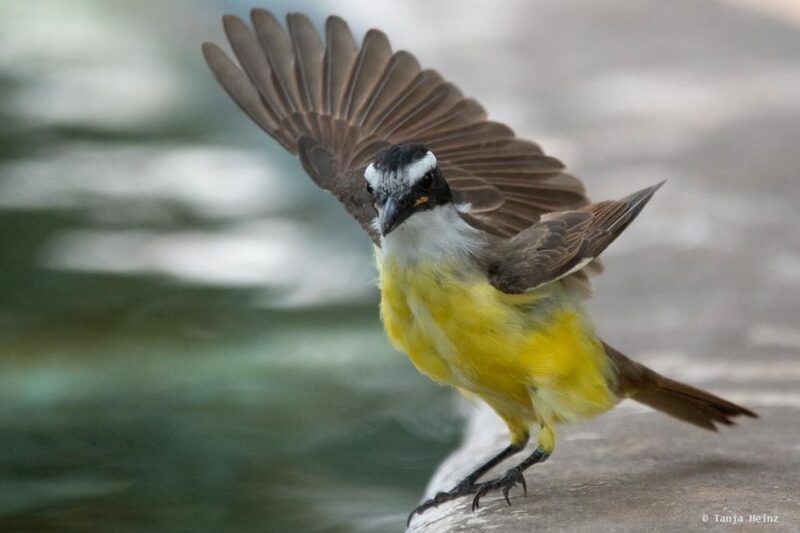 They live exclusively in North, Central and South America (including the Caribbean). As hummingbirds are very fast and shy it was very challenging for me to take photographs of them. Thus, it was not that easy to get help from the citizen science communities to identify these hummingbirds. The hummingbird below could be a Sombre hummingbird (Aphantochroa cirrochloris). 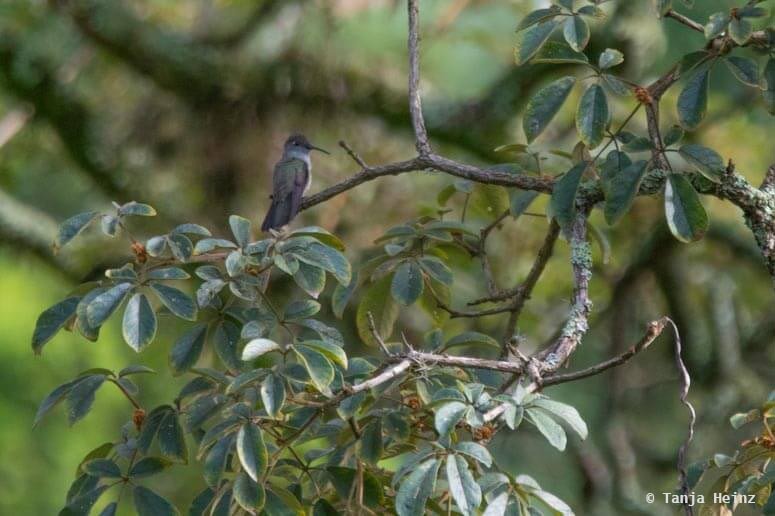 The other one above could be a Sombre hummingbird as well or a Violet-capped woodnymph (Thalurania glaucopis). 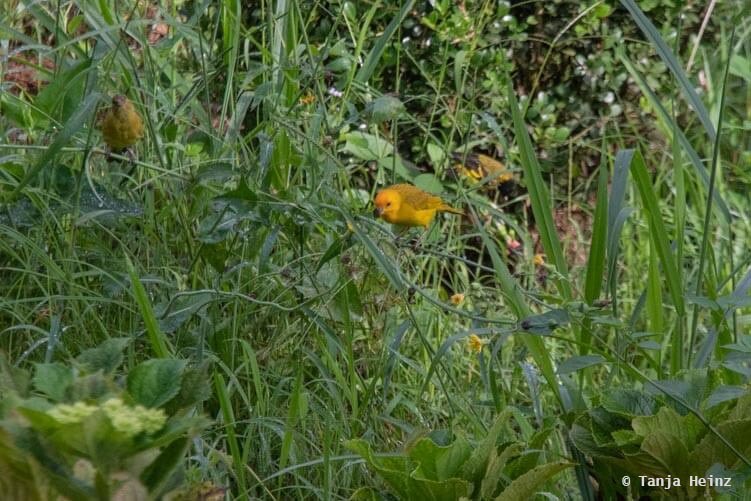 Another bird I saw was a golden-chevroned tanager (Thraupis ornata). In Brazil I encountered one bird species quite often. And this was the saffron finch (Sicalis flaveola). 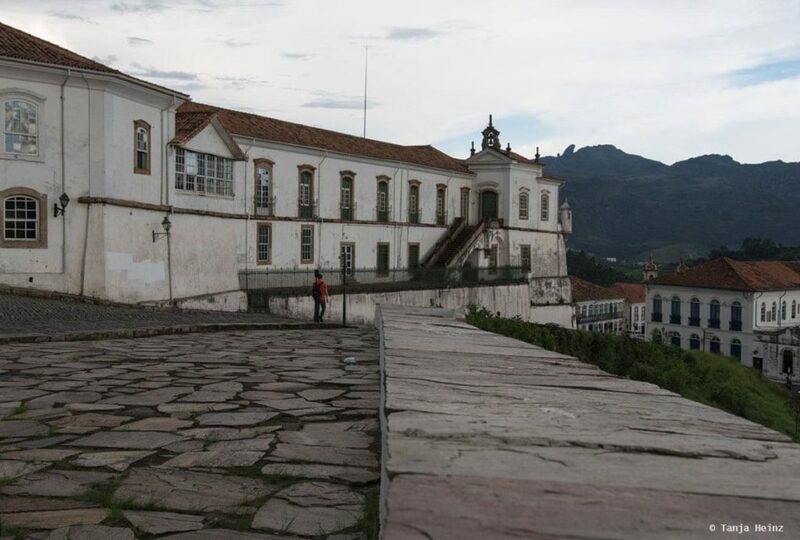 In Ouro Preto I saw one individual only from far away. There were other birds that were difficult to identify like the hummingbirds. Like for example the following bird. 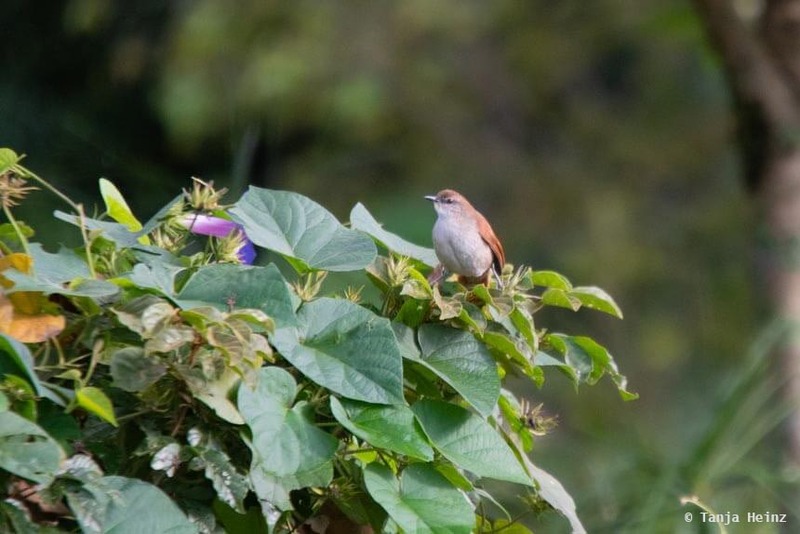 Could it be a yellow-chinned spinetail (Certhiaxis cinnamomeus)? 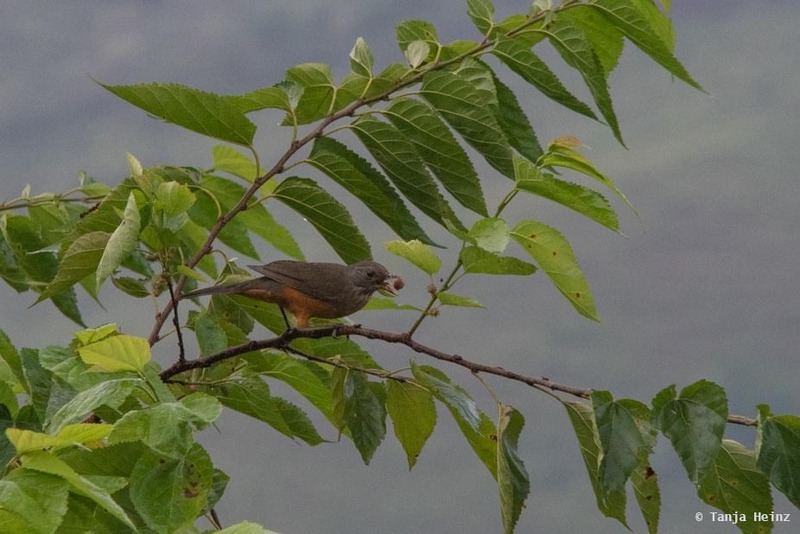 Before we went to an excursion to the town Mariana, we saw this rufous-bellied thrush (Turdus rufiventris). The bird was apparently sitting comfortably and relaxed on a tree branch as it stayed there for some time and I could take my time to take a photograph. 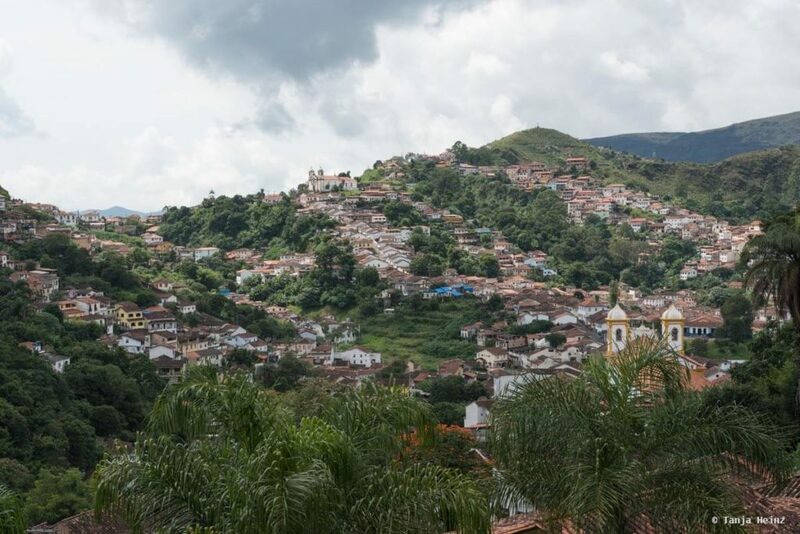 On our second day in Ouro Preto we went for a day trip to the closeby town Mariana which is about 14 kilometers away. With about 54.000 inhabitants it is a little bit smaller then Ouro Preot. In Brazil we often used the public transportation. We did that as well from Ouro Preto to Mariana. 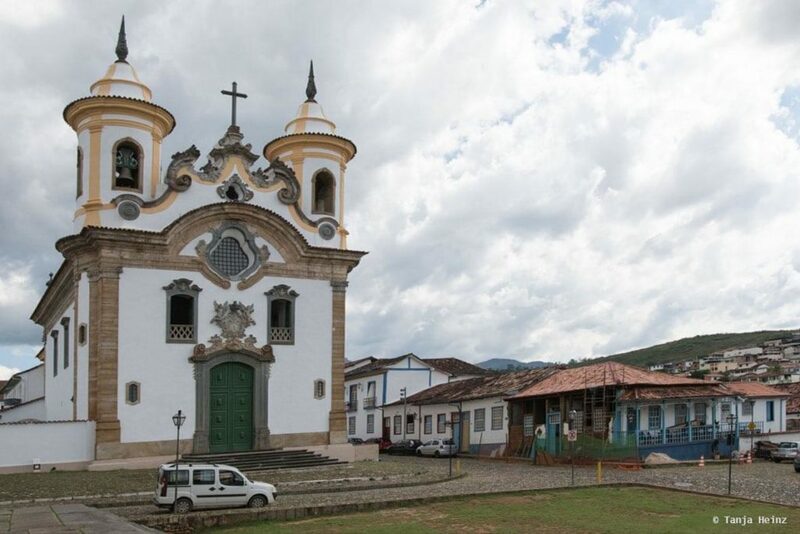 There are buses running regularly between Ouro Preto and Mariana. 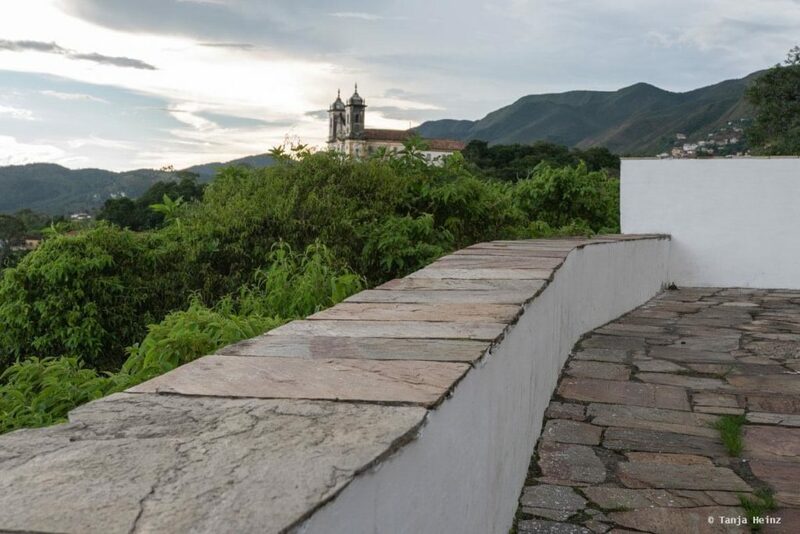 Mariana offers like Ouro Preto breathtaking colonial architecture. There is no building that could flaw the townscape. 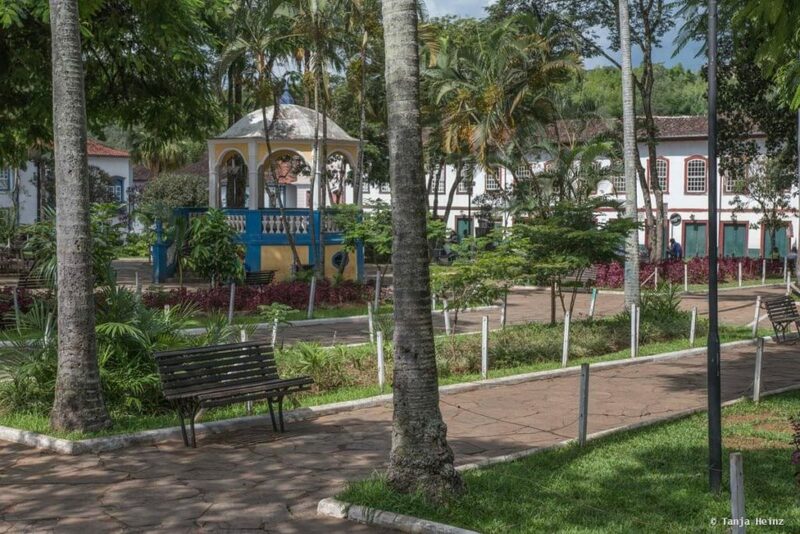 In the center of the town is located the Praça Minas Gerais where we searched for a place in the shadow of the midday heat. Despite of the heat we observed some birds. Occasionally hummingbirds were flying from flower to flower. As they were so fast I could not take any photos of them. However, there was one bird that stayed at the fountain in the Praça Minas Gerais for quite a long time. 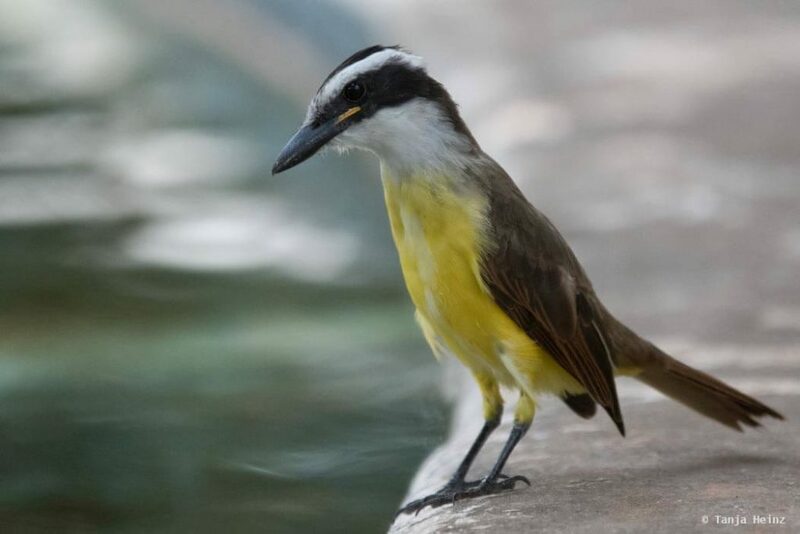 And that was a great kiskadee (Pitangus sulphuratus). 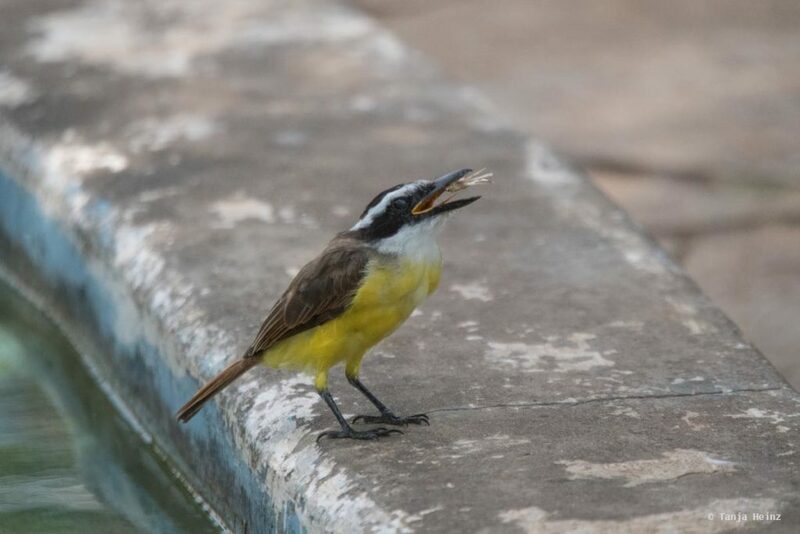 The fountain had only a few small fishes in there but maybe it was enough for the great kiskadee to forage. The fishes in the fountain even attracted another great kisadee later. The great kiskadees even found some insects to eat at the fountain. As we wanted to see Mariana as well we left the Praça Minas Gerais for a stroll through the town. 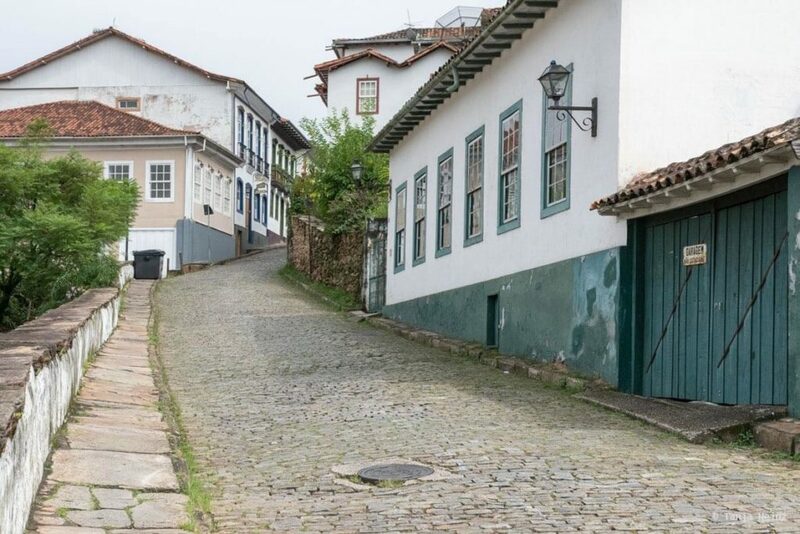 Compared to Ouro Preto the streets of Mariana are not that steep, but likewise impressive and there are also very beautiful views from observation points. 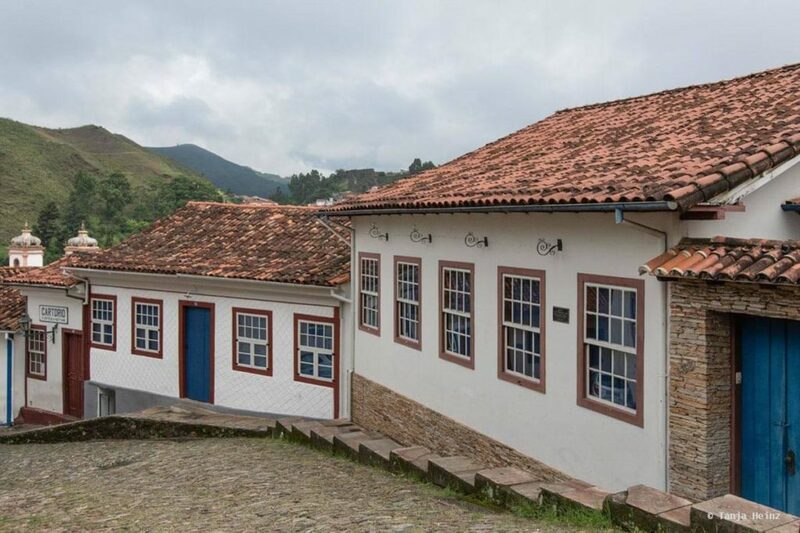 We stayed in Ouro Preto only for a short time as our next destination was the Feliciano Miguel Abdala Private Nature Reserve close to Caratinga. The nearest airports from Ouro Preto ist the Aeroporto Confins and the Aeroporto da Pampulha in Belo Horizonte. The Aeroporto Confins is the destination for international flights. The Aeroporto da Pampulha is only for national flights. Our journey in Brazil started at the airport in Rio de Janeiro, that is, at the Aeroporto Galeão (also known as the Aeroporto Tom Jobim). From Rio de Janeiro we took a bus to Ouro Preto. 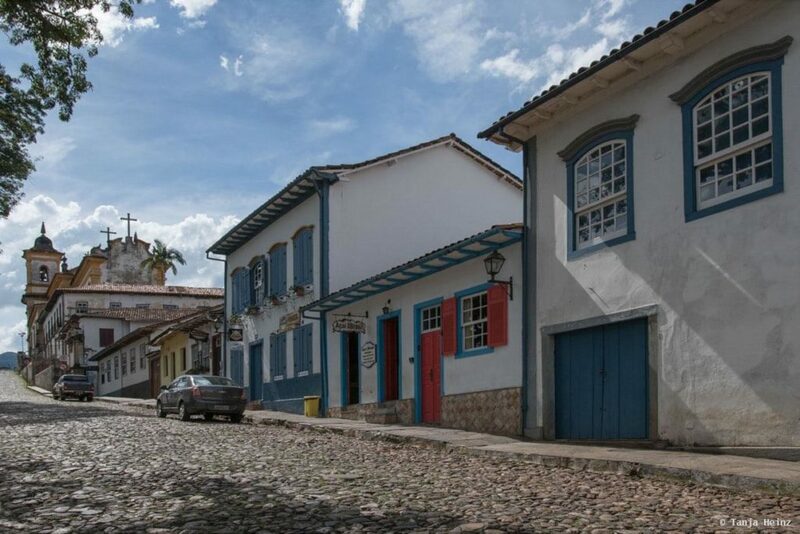 The bus station in Ouro Preto is located at the Rua Padre Rolim 661 in the northwest of the town which is about 10 minutes to walk from the Praça Tiradentes away. 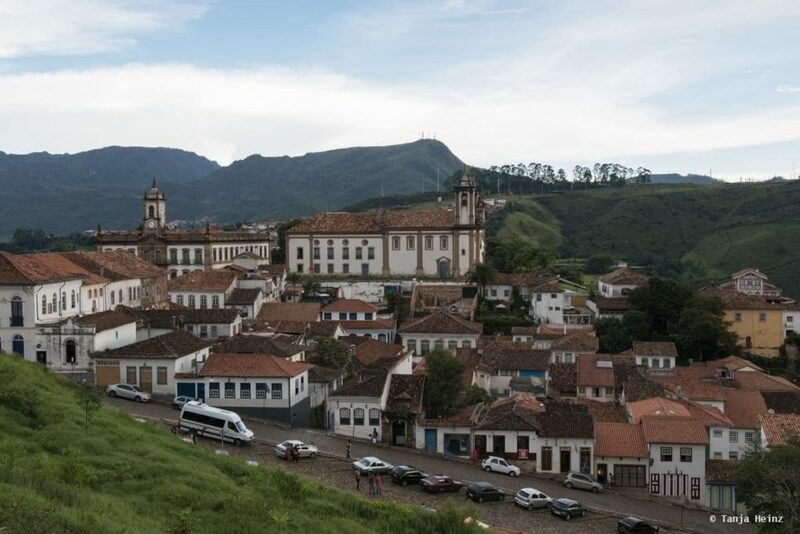 In Ouro Preto there are two bus companies that connect Ouro Preto with bigger cities. On one side there is Pássaro Verde that runs between Ouro Preto and Belo Horizontes. On the other side there is the bus company Útil that connects Ouro Preto with Rio de Janeiro and São Paulo. We bought our bus tickets on Clickbus. Another possibility to buy bus tickets online is Brasil by Bus. When we bought our bus tickets online we used exclusively Clickbus. Therefore, I cannot share my experiences with Brasil by Bus. We usually bought our bus tickets online only when we were travelling a popular route and had no possibility to buy the ticket at the desk. 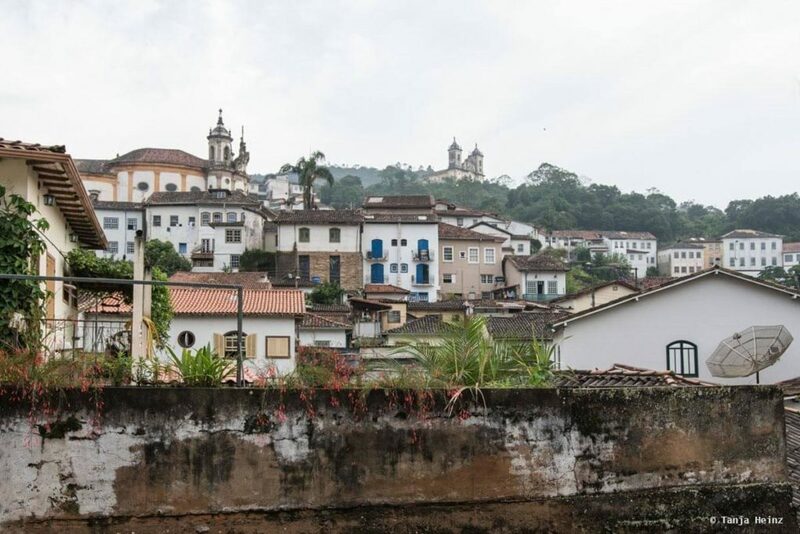 From Rio de Janeiro to Ouro Preto we travelled with the bus company Útil. The journey took about 8 hours and we paid around 100R$ (about 25 Euros). 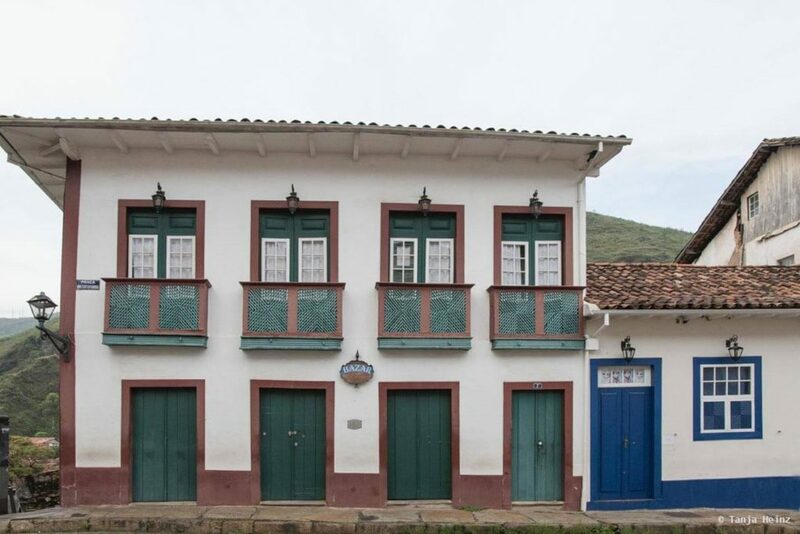 In Ouro Preto we booked a room via Airbnb in the street Rua Professor Antônio de Paula Ribas. As we arrived by bus we chose a room close to the bus station. 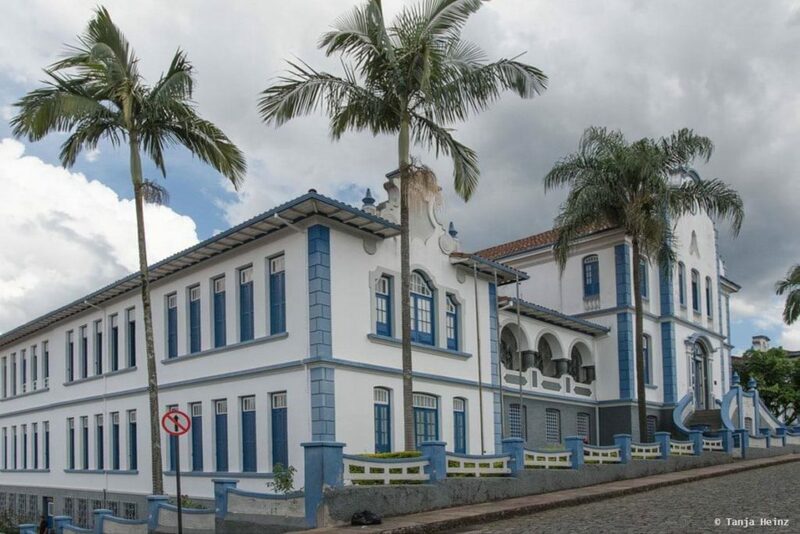 Ideally you need only about 10 minutes from the bus station to Rua Professor Antônio de Paula Ribas. 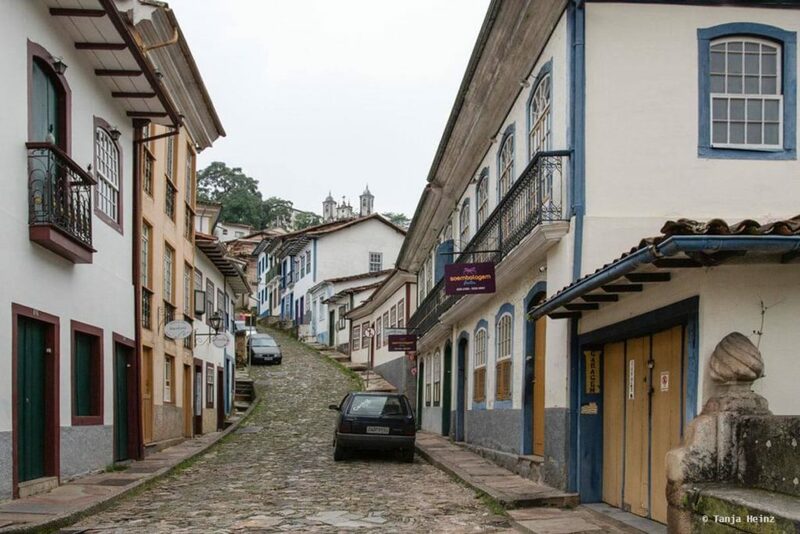 However, as Ouro Preto is very steep at some places, we needed a little bit longer with our bags. Afterwards it would have been better to take a taxi even if it is a short distance to walk. There are regular so-called Transcotta busses that run between Mariana and Ouro Preto. The buses leave close to the Praça Tiradentes. The bus stop is located to the northeast of the Praça Tiradentes. During the day the buses leave every 20 minutes. One ticket costs 3.70R$. However, it is very helpful to know some Portuguese when travelling by public transportation.